At NATCO, we hold a leading market share in the oncology segment amongst Indian companies. Over the years, backed by our strong R&D capabilities, we have been able to launch many targeted therapy drugs. Gradually, we established ourselves as market leaders in the segment. The domestic oncology division deals with haemato-oncology and solid tumour products. As a result of our existing market position and product portfolio, we believe we are well positioned to capitalise on the expected growth in oncology therapeutic area. We have a well-established presence in the domestic formulations market in gastro hepatology segment as well. In gastro hepatology therapeutic area, we have the leading market share in Hepatitis C drugs in India. We launched generic Sofosbuvir and its combinations for the treatment of Hepatitis C in India under the brands, Hepcinat Hepcinat LP, Velpanat and Natdac. Further, we diversified our product portfolio in India by launching products in Cardiology and Diabetology therapeutic areas in 2017. This diversified strategy diminishes the risk associated with the dependence on any particular therapeutic area. 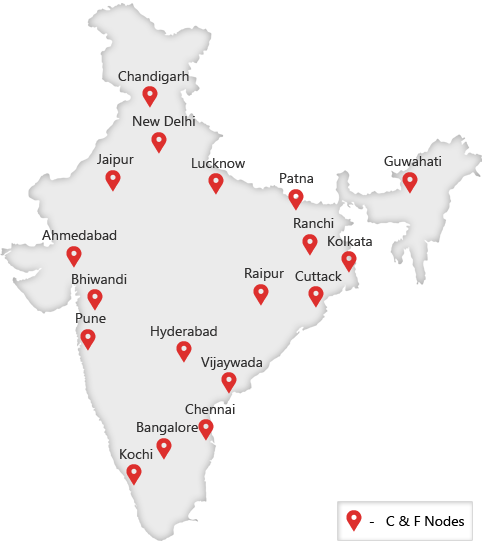 Our marketing and distribution network in India consists of a specialized field force, which enables us to increase the reach of our products in the domestic market. In addition, we also market our products directly to hospitals, which continue to be an important channel of distribution, in India, especially for oncology products. We believe that our extensive distribution network enables us to increase our market share across key therapeutic areas and sustain our leadership position. Natco has emerged a market leader in India’s generic oncology space led by flagship brands like Geftinat, Erlonat, Veenat and Sorafenat. The Company also heralded a new beginning in the gastro-hepatology therapy segment with the launch of Hepcinat portfolio that has brought a paradigm shift to the treatment and clinical outcome of Hepatitis-C. Last year in 2017, the Company forayed into a new therapy segment by launching a Cardiology and Diabetology (CnD) division which offers one of the highest prescribed DPP4 inhibitors and a comprehensive list of anti-hypertensives.